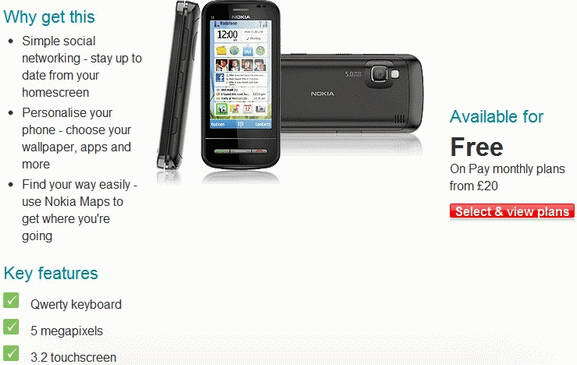 Nokia started the sale of its all new C-Series smartphone, named Nokia C6 in UK markets via Vodafone.The new Nokia C6 smartphone comes available in side-sliding form factor with QWERTY touchscreen.Nokia C6 now available for free with a 2-year contract starting price at £20 per month. New Nokia C6 smartphone comes equipped with a 3.2-inch resistive touchscreen display with resolution of 640 x 360 pixels and is powered with a 434 MHz ARM11 processor.The handset includes a 128 MB RAM, 200 MB ROM, and a microSDHC memory card slot for memory expansion. The all new New Nokia C6 Smartphone Features 5MP autofocus camera with LED Flash and VGA video recording (640 x 480 pixel), WiFi 802.11 b/g, HSDPA 3.6Mbps, Bluetooth 2.0, microUSB port, 3.5mm audio connector, AGPS, Nokia Maps, accelerometer, Proximity Sensor, and Light Sensor. Nokia C6 handset is designed to work in quad-band 2G 850/900/1800/1900 MHz, dual-band 3G 900/2100 MHz networks and supports MP3, AAC, eAAC+ & WMA.The handset packs a 1200 mAh battery that provides about 7 hours talk time.Nokia C6 weighs weight 150g and its dimensions are 113.4 x 53 x 16.8 mm. 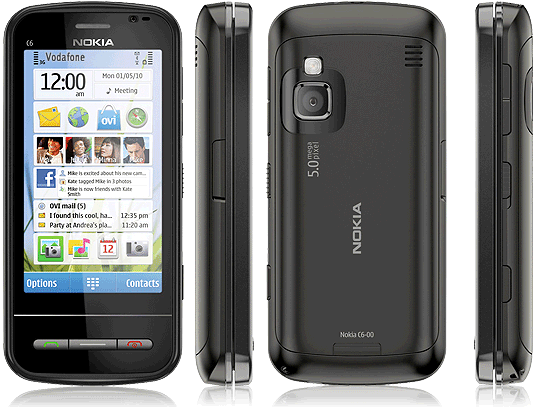 Tags:-Nokia C6 smartphone price, Features, Nokia C6 smartphone specifications, Nokia C6 smartphone launch, Nokia C6 smartphone release, Nokia C6 smartphone uk price, Nokia C6 smartphone price tag, Nokia C6 smartphone specs, Nokia C6 smartphone camera. 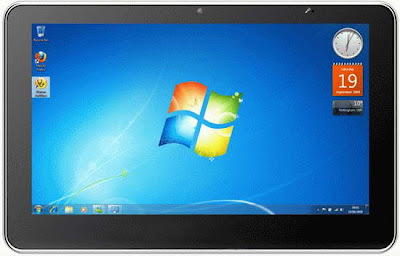 Fujitsu recently outed the details of their new upcoming Core i5 convertible Tablet Netbook, named Fujitsu Lifebook T580.The new Fujitsu Lifebook T580 Tablet netbook brings a fancy Berliner glass display and is a dual-digitizer with stylus and touch. New Fujitsu Lifebook T580 convertible tablet comes equipped with a 10.1-inch display and is powered with an Intel Core i5 processor.Other Features includes GPS and the optional 3G availability.The battery of the Tablet provides almost 8 hour of use. Lifebook T580 Tablet Netbook weighs 1.4kg and is expected to be available by late Q2 2010. Tags:-10.1-inch tablet netbook, convertible tablet, Fujitsu Lifebook T580 tablet features, Fujitsu Lifebook T580 Tablet availability, Fujitsu Lifebook T580 tablet launch, Fujitsu Lifebook T580 tablet release, Fujitsu Lifebook T580 specifications, Core i5 tablet netbook, Fujitsu, Fujitsu LifeBook, Fujitsu Lifebook T580, Fujitsu T580, Lifebook T580, netbook, T580, Tablet Netbook. 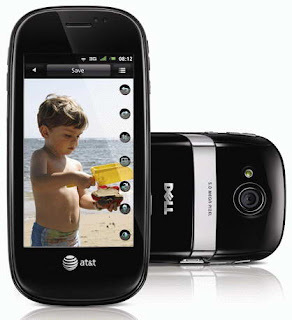 Dell recently made the availability of its all new smartphone, named Dell Aero in US market via AT&T.The new stylish Dell Aero handset comes in polished graphite finish.Dell Aero smartphone runs on older Google Android 1.5 OS. The all new Dell Aero smartphone comes equipped with a 3.5-inch touchscreen display with resolution of 360 x 640 pixels and support multitouch and designed to support GSM/GPRS/EDGE 850/900/1800/1900 MHz and UMTS/HSDPA 850/1900/2100 MHz networks. Dell Aero smartphone Features includes 5 megapixel autofocus camera with LED flash, GPS, Bluetooth, Wi-Fi, 2GB internal memory, a slot for microSD card with up to 32GB support (a 2GB card included) and Full HTML Browser with Adobe Flash Lite.The handset has a dimension of 122 x 57.9 x 11.7 mm and weighs 104g. 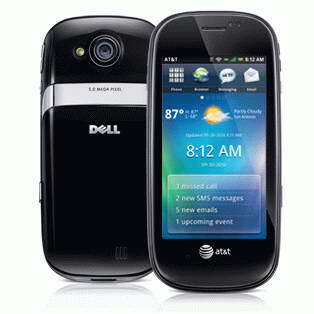 The new Dell Aero now available at AT&T with a price of $99.99 on a new 2-year AT&T contract or $299.99 no-contract. Tags:-Dell Aero, new Dell Aero handset, Dell Aero Smartphone price, Dell Aero Smartphone features, Dell Aero Smartphone specifications, Dell Aero Smartphone details, Dell Aero Smartphone availability, Dell Aero Smartphone price, Dell Aero Smartphone price tag, Dell Aero Smartphone specs. Sony Ericsson recently made the availability of its all new Sony Ericsson Vivaz smartphone via AT&T, US mobile operator.The new Sony Ericsson Vivaz handset will be available in two shades including a limited time Venus Ruby color and vibrant Galaxy Blue color. Sony Ericsson Vivaz smartphone will be available via AT&T from September 5th onwards with a price tag of $79.99 on a 2-year contract and after a $50 rebate.The smartphone will also features AT&T Wi-Fi Hotspots and Multitask Effortlessly. New Sony Ericsson Vivaz smartphone comes equipped with a 3.2-inch nHD 16 million color touchscreen display with resolutions of 360 x 640 pixels and houses a 8.1 megapixel autofocus camera with HD video recording capability.Other Features includes GPS, Stereo Bluetooth, HSPA, and Wi-Fi connectivity.The handset weighs 97 grams and its dimensions are 107 x 51.7 x 12.5 mm. Tags:-Sony Ericsson Vivaz smartphone release, Sony Ericsson Vivaz smartphone launch, Sony Ericsson Vivaz smartphone availability, Sony Ericsson Vivaz smartphone features, Sony Ericsson Vivaz smartphone specs, Sony Ericsson Vivaz smartphone price, Sony Ericsson Vivaz smartphone price tag, Sony Ericsson Vivaz smartphone camera, Sony Ericsson Vivaz smartphone shades, Sony Ericsson Vivaz smartphone colors. 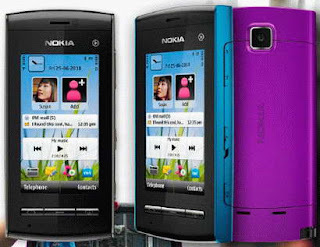 Nokia recently officially revealed the details of their upcoming new music-centric Touchscreen handset, named Nokia 5250.The all new Nokia 5250 handset runs on Symbian 1 platform and will be available with an Ovi Music Unlimited offer. The New Nokia 5250 mobile phone equips a 2.8-inch TFT touchscreen display with resolution of 640 x 360 pixel and is provided with a 2 megapixel camera.Nokia 5250 Music handset has an internal memory of 51MB and can be increased up to 16GB via a microSD card. New Nokia 5250 handset has GSM/EDGE support and comes integrated with social networks such as Facebook, MySpace etc.The handset battery provides up to 18 days of life in standby, about 24 hours of music playback life and almost 7 hours of talk time.The dimension of Nokia 5250 is 104 x 49 x 14 mm. 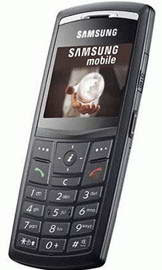 The drawbacks of the new Nokia 5250 Music Touchscreen Phone is the lack of WiFi, 3G, and GPS facility. New Nokia 5250 Music Touchscreen Phone is expected to be available in the Q4 of 2010 in various color themes and the price expected is €115. Tags:-Nokia 5250, Nokia 5250 music, Nokia 5250 touch screen, Nokia 5250 handset features, Nokia 5250 handset specifications, Nokia 5250 handset release, Nokia 5250 handset launch, Nokia 5250 handset availability, Nokia 5250 handset price, Nokia 5250 handset price details, Nokia 5250 handset price tag, Nokia 5250 handset images. 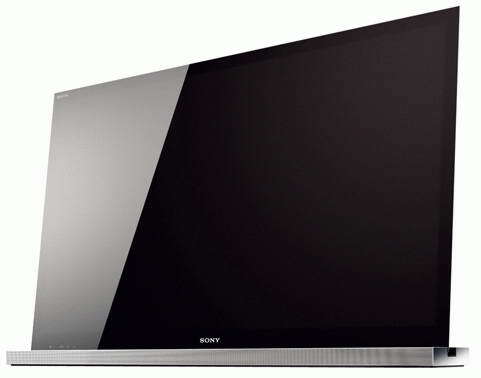 Sony recently made the official announcement of their new LCD 3D TVs, named Sony BRAVIA NX710 and Sony BRAVIA NX810.BOth the new Sony BRAVIA NX710 and Sony BRAVIA NX810 LCD Tvs comes with an ultra-stylish Monolithic Design and features Full High Definition 3D capabilities. Both Sony BRAVIA NX710 and NX810 LCD 3D TVs comes equipped with 46-inch and 55-inch screen size with resolution of 1920 x 1080 pixels (Full HD).Sony BRAVIA NX710 offers Motionflow 100Hz Pro in 2D mode, where as Sony BRAVIA NX810 Tv offers Motionflow 200Hz Pro. New Sony BRAVIA NX710 and NX810 LCD 3D Tvs Features 2.1 sound system, BRAVIA Internet Video, and is also provided with BRAVIA Internet Widget that helps in accessing social network sites including Facebook, Twitter and Flickr.Both LCD 3D TVs houses Dynamic Edge LED backlighting that helps in providing sharp images, smooth motion, and ultra-high contrast. Price details are not revealed yet. 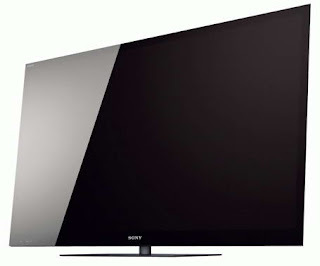 Tags:-Sony LCD 3D TVs, New LCD 3D TVs, 3D tvs from sony,Sony 46-inch 3D TV, Sony 46-inch, Sony 55-inch, Sony 55-inch 3D TV, Sony BRAVIA 3D TV, Sony BRAVIA LCD 3D TV, Sony BRAVIA NX710 and Sony BRAVIA NX810 LCD Tvs price, Features, Details, Specifications. 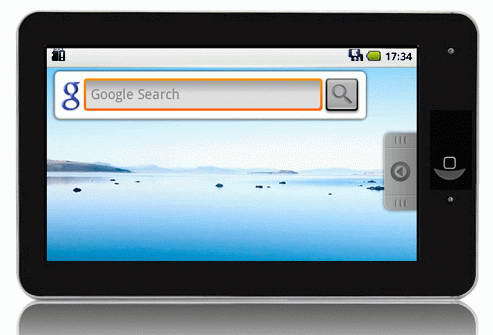 Pioneer Computers just recently made the availability of its all new Tablet, named DreamBook ePad N7 Tablet.The new ePad N7 Tablet is based on nVidia Tegra 2 platform.The Tablet runs on Google Android 2.1 OS. The new ePad N7 Tablet comes equipped with a 7-inch display with resolution of 800 x 480 pixels and is powered with a 1.2GHz ARM T20 dual-core processor.The Tablet includes a 512MB RAM, 4GB inbuilt flash memory and a microSD card slot for memory expansion. All new ePad N7 Tablet Features Wi-Fi 802.11b/g, 1.3MP webcam, stereo speakers, accelerometer and light sensor where as Bluetooth and G module mobile networks are optional availabilities.The Tablet also houses a HDMI output port for dispaly on an external device. 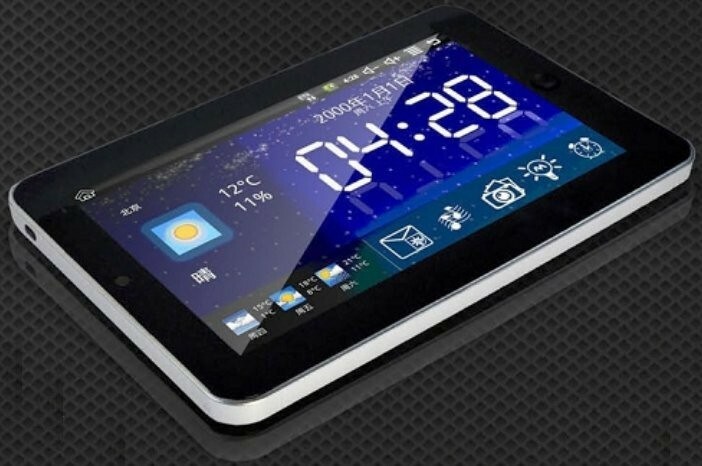 DreamBook ePad N7 Tablet houses a battery that provides about 10 hours of life.The Tablet weighs 465g and its dimensions are 208 x 122 x 14 mm. 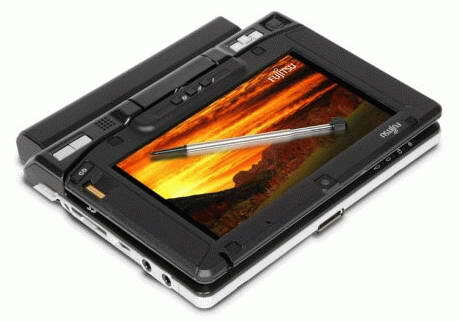 New Pioneer Computers DreamBook ePad N7 tablet is available for a price tag of $500. 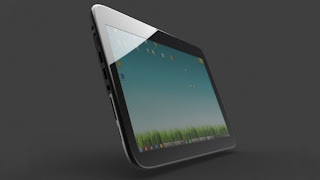 Tags:-ePad N7 Tablet price, ePad N7 Tablet features, ePad N7 Tablet price tag, ePad N7 Tablet launch, ePad N7 Tablet specs, ePad N7 Tablet specifications, ePad N7 Tablet details, ePad N7 Tablet price details, N7 Tablet, DreamBook tablet, Tablet. 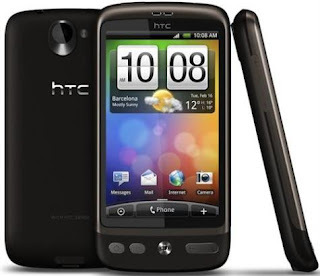 HTC recently made the availability of its all new Android smartphone, named HTC Desire in Indian market.The new HTC Desire smartphone is now available at Tata DoCoMo for a price tag of 28,900 Rs and a 500MB of free data for first 6-month. New HTC Desire Smartphone comes equipped with a 3.7-inch WVGA display with resolution of 480×800 pixels and is powered with a 1GHz processor with 512 MB ROM, and 576 MB RAM.The new HTC Desire Features 5 megapixel camera, Wi-Fi, 3G, GPS and in India the handset runs on Android 2.1 OS. 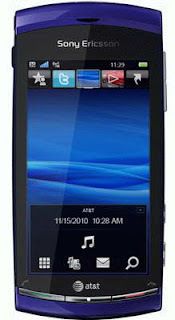 Tags:-HTC Desire Smartphone, HTC Desire Smartphone india, HTC Desire Smartphone price in india, HTC Desire Smartphone features, HTC Desire Smartphone india availability, HTC Desire Smartphone india release, HTC Desire Smartphone india price, HTC Desire Smartphone in india details, HTC Desire Smartphone specs, HTC Desire india. Asus recently launched its new ION 2 based seashell notebook, named Asus Eee PC 1015PN in European markets.As i told you the newly introduced Asus Eee PC 1015PN notebook houses next generation ION 2 (GT218) graphics that features Nvidia Optimus graphics switching technology. New Asus EeePC 1015PN netbook comes equipped with a 10.1-inch LED backlit display with resolution of 1024 x 600 pixel and is powered with 1.83GHz Intel Atom N475 CPU.The notebook includes Intel GMA 3150 chipset.The graphics availabilities are an Intel GMA 3150 graphics card and NG-ION graphics card with 16-core and 512MB VRAM memory. The all new Asus EeePC 1015PN netbook brings a 1GB DDR3 RAM and a 250GB SATA HDD.Other Features includes WiFi 802.11b/g/n, 10/100 Ethernet LAN, 0.3 megapixel webcam, Bluetooth, 3 USB 2.0 ports, headphone and microphone jack, HD Audio, 2×1.5W stereo speakers, microphone, 3-in-1 media card reader (SD/SDHC/MMC), 1 VGA port and 1 HDMI port. Asus EeePC 1015PN netbook will be available pre-loaded with Windows 7 Starter plus Express Gate OS.The netbook houses a 6-cell Lithium Ion battery.Its weight is about 1.38kg. 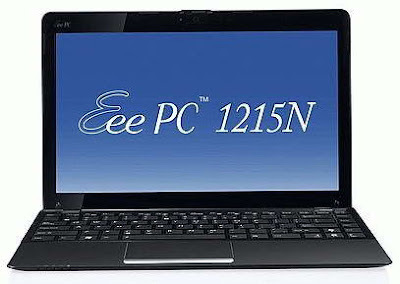 Asus Eee PC Seashell 1015PN netbook now available in France and can be pre-ordered with a price tag of €399. Tags:-10.1-inch netbook, 1015PN, Asus Eee PC 1015PN ION 2 netbook price, Asus Eee PC 1015PN ION 2 netbook specifications, Asus Eee PC 1015PN ION 2 netbook features, Asus Eee PC 1015PN ION 2 netbook details, Asus Eee PC 1015PN ION 2 netbook specs, ASUS, Asus 1015PN, Asus Eee PC, Asus Eee PC 1015PN, Asus Eee PC Seashell 1015PN, Asus EeePC 1015PN, Europe, netbook, NVIDIA Optimus netbook. 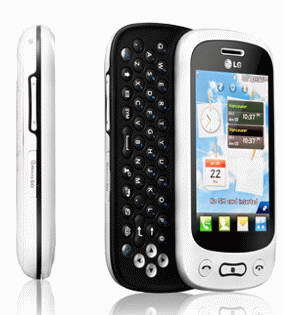 LG recently made official the detailed specification of its upcoming new slider handset, named LG Neon2 (GT350).The new LG Neon2 (GT350) mobile handset will be soon available through Rogers mobile operator for a price tag of $29.99 on a 3-year contract. 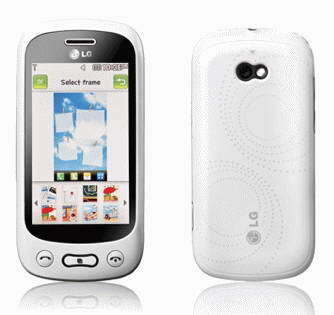 The all new LG Neon2 handset comes equipped with a 3-inch WQVGA touchscreen display with a resolution of 240×400 pixel and includes a 2 megapixel camera with video capabilities and 2x zoom.Other Features of new LG Neon2 phone includes QWERTY keyboard, 5 hotkeys, MP3 player, FM radio, Bluetooth and a microSD card slot that supports up to 8GB.The handset will be available in four color options. 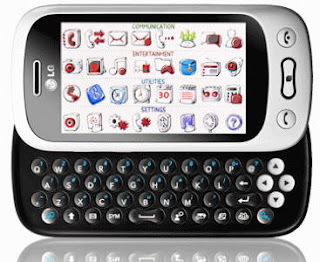 LG Neon2 touch screen handset houses a battery that provides about 6 hours of talk time life and about 400 hours of life in standby mode.The handset weighs 122 grams and its dimensions are 107.5×52.5×15.9mm. Tags:-LG, LG GT350, LG Neon2, LG Neon2 handset features, LG Neon2 handset price, LG Neon2 handset specifications, LG Neon2 handset launch, LG Neon2 handset images, LG Neon2 handset pics, LG Neon2 handset price details, LG Neon2 handset release, LG Neon2 GT350, Phone, slider phone. Australian manufacturer,Pioneer Computers recently made the official announcement about their planning to introduce their all new DreamBook ePad Tablet by September this year.The most important feature about his new upcoming tablet is, it comes pre-installed with Microsoft’s Windows 7 OS. The new DreamBook ePad Tablet comes equipped with an 11.6-inch touchscreen display and is powered with a 1.66GHz Atom CPU.The graphics options includes either you could choose an integrated graphics or a 512MB NVIDIA Ion 2 chipset.The Tablet supports up to 2GB of RAM. DreamBook ePad Tablet Features 3-axis G-sensor, 1.3MP camera, WiFi, Bluetooth 2.1, SDHC memory card slot, two USB ports, an HDMI output, two 1.5W speakers and a mini-PCI interface, whereas the optional availabilities includes GPS, 3G.The tablet includes a 4,800mAh battery capable of providing about 6 hours of life. Pioneer Computers DreamBook ePad Tablet is about $540. Tags:-DreamBook ePad Tablet, DreamBook ePad Tablet launch, DreamBook ePad Tablet international launch, DreamBook ePad Tablet release, DreamBook ePad Tablet features, DreamBook ePad Tablet specifications, DreamBook ePad Tablet price, DreamBook ePad Tablet price tag, DreamBook ePad Tablet price details, DreamBook ePad Tablet specs, DreamBook ePad Tablet with windows 7, windows 7 tablet, tablet with windows 7 0S, windows tablet, windows 7 tablet. 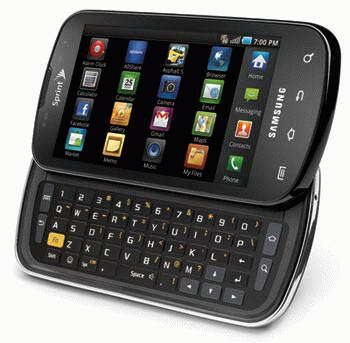 Samsung recently introduced its all new smartphone named Samsung Entro via PC Mobile.The new Samsung Entro Smartphone is available for a price tag of $109.The smartphone has a slide out QWERTY form factor. Samsung Entro Smartphone comes equipped with a 2.6-inch touchscreen display with resolution of 240×320 pixel and includes a 1.3 megapixel camera with flash.The new Samsung Entro Smartphone Features music player, 16 MB inbuilt memory, A-GPS, Bluetooth 2.1, and a microSD card slot that supports up to 32GB card. New Samsung Entro Smartphone houses a battery tha provides about 6.7 hours of life in talk time mode and about 25 days in standby mode.The smartphone weighs 109g and its dimensions are 104.9 x 53 x 14.8 mm. 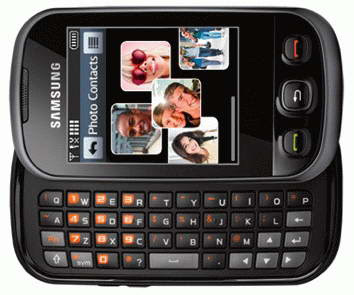 Tags:-Entro, PC Mobile, Phone, QWERTY phone, Samsung Entro Smartphone price, Samsung Entro Smartphone features, Samsung Entro Smartphone specifications, Samsung Entro Smartphone details, Samsung Entro Smartphone price tag, Samsung Entro Smartphone low price, Samsung, Samsung Entro, Smartphone, touchscreen phone. 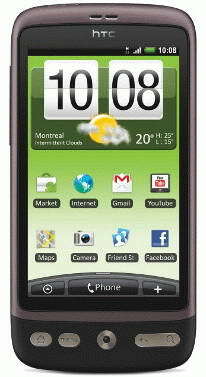 HTC recently introduced a new Android smartphone in Canadian market, named HTC Desire.The new HTC Desire smartphone is now available via TELUS for price tag $79.99 with a 3-year contract agreement or $449.99 as unlocked version. The new stylish cool looking HTC Desire smartphone equips a a 3.7-inch touchscreen LCD display 800×480 pixel (WVGA) and houses a 512MB ROM, 576MB RAM.The smartphone features 5 megapixel camera with flash, microSD card slot that supports up to 16GB.The handset is designed to support in HSPA 850/1900 MHz network. 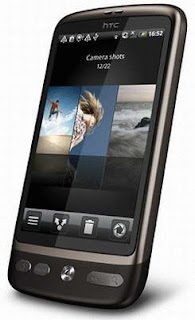 New HTC Desire smartphone runs on Google Android 2.1 OS.The smartphone is provided with a battery enabling up to 6.5 hours of talk time and up to 15 days of standby time.HTC Desire weighs 135 gm and its dimensions are 119 x 60 x 11.9 mm. Tags:-Desire, HTC, HTC Desire, Phone, touchscreen phone, HTC Desire Smartphone features, HTC Desire Smartphone price tag, HTC Desire Smartphone details, HTC Desire Smartphone availability, HTC Desire Smartphone specifications. Asus on its way to introduce its all new Asus Eee PC 1215N netbook in European markets.The new Asus Eee PC 1215N netbook features Optimus technology.The netbook is expected to hit markets by next month with a price tag of €499. The Asus Eee PC 1215N netbook comes equipped with a 12.1-inch LED-backlit display with resolution of 1366 x 768 pixel and is powered with a 1.8GHz Intel Atom D525 processor.The netbook includes 2GB RAM, ION 2 graphics with 512MB of dedicated memory, and a 250GB HDD with extra 500GB of Asus WebStorage online (free for 12 months). 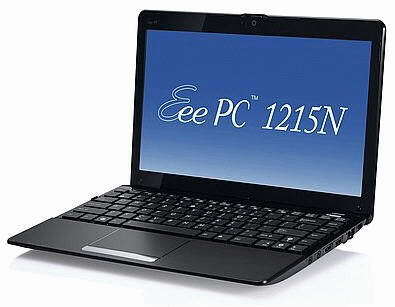 New Asus Eee PC 1215N netbook Features Chiclet keyboard, a 0.3 megapixel webcam, 802.11 b/g/n WiFi, 10/100 LAN, Bluetooth 3.0, a HDMI output and SD/MMC memory card reader.The netbook comes pre-installed with Windows 7 Home Premium 32bit and Express Gate instant-on OS. The all new Asus Eee PC 1215N netbook comes available in the shades of red, black and silver.The notbook includes a 6-cell 5200 mAh battery that provides up to 7 hours of run time. Tags:-12.1-inch notebook, 1215N, ASUS, Asus 1215N, Asus Eee PC, Asus Eee PC 1215N, Bluetooth 3.0, debuts, Eee PC 1215N, Asus Eee PC 1215N Netbook Europe, netbook, Asus Eee PC 1215N Netbook features, Asus Eee PC 1215N Netbook details, Asus Eee PC 1215N Netbook price tag, Asus Eee PC 1215N Netbook price details, Asus Eee PC 1215N Netbook specs, Asus Eee PC 1215N Netbook launch. Gpad recently introduced a new low cost tablet, named Gpad G10 in market.The new Gpad G10 Tablet now available for a price tag of just $185.The new Tablet runs on Google Android OS. 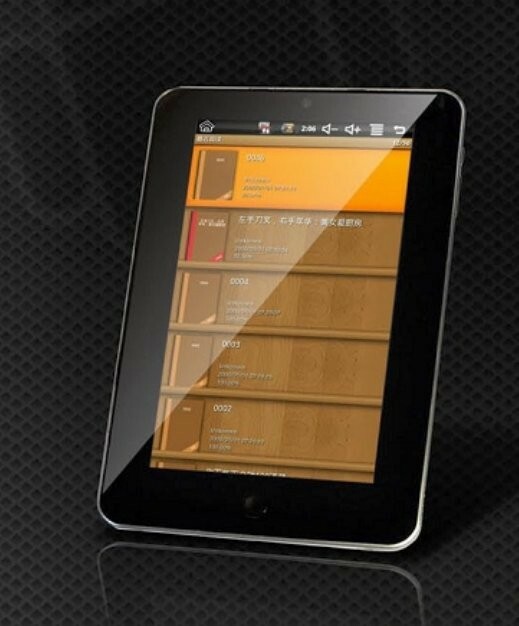 The new Gpad G10 Tablet now comes equipped with a 7-inch touchscren display with resolution of 800 x 480 pixels and is powered with a 800MHz Telechips 8902 ARM 11 based processor.The tablet also houses a 256 MB of RAM, 2GB internal storage and a microSD card slot for supporting up to 32 GB. 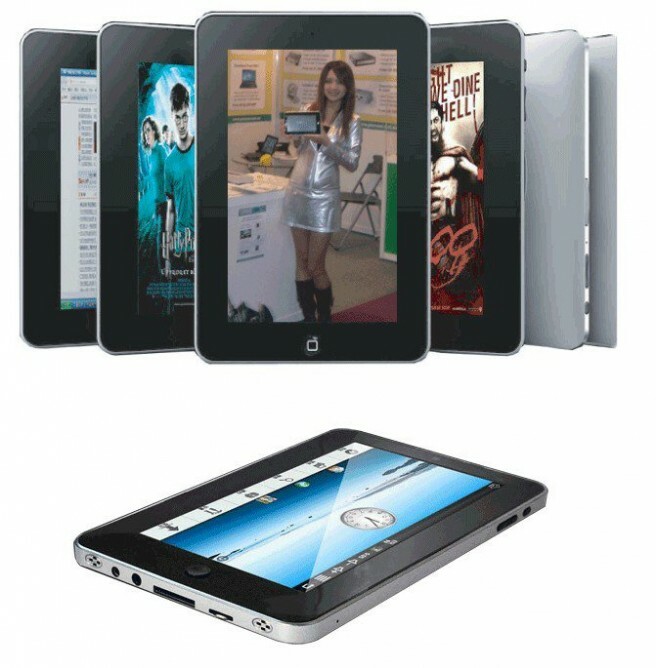 The new Gpad G10 features a 0.3 megapixel camera, support for 1080p HD video playback, accelerometer, HDMI, a 3.5mm headphone jack and Wi-Fi adapter.The tablet includes a 2600mAh battery providing about 5 hours of life.The tablet weighs about 330 g and its dimensions are 191 x 119 x 14 mm. 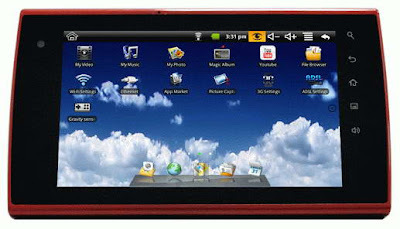 Tags:-Android Tablet, Budget Android Tablet, Gpad G10 Android Low Cost Tablet, Gpad G10 Android Low Cost Tablet price, Gpad G10 Android Low Cost Tablet launch, Gpad G10 Android Low Cost Tablet features, Gpad G10 Android Low Cost Tablet specifications, Gpad G10 Android Low Cost Tablet price details, cheap tablet, G10, Gpad, Gpad G10, Internet tablet, tablet. 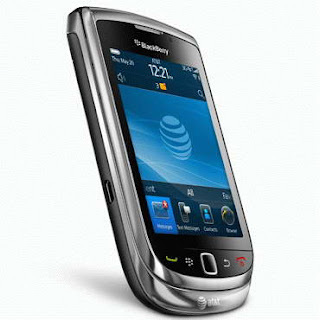 Research In Motion (RIM) recently introduced the all new touchscreen smartphone, named BlackBerry Torch 9800 in market.The new BlackBerry Torch 9800 Smartphone will be available via US mobile operator AT&T by 12th August ie next weak for a price tag of $199 with a 2-year contract. The new BlackBerry Torch 9800 Smartphone is the world’s first smartphone that comes with a BlackBerry keyboard and featuring a full touchscreen display.BlackBerry Torch 9800 handset comes in slider form factor and runs in new BlackBerry v6 OS. New BlackBerry Torch 9800 Smartphone comes equipped with 3.2-inch capacitive touchscreen display with resolution of 360 x 480 pixels and is powered with a 624MHz processor.The smartphone also brings a 512 MB RAM, internal memory of 512 MB + 4 GB and a microSD/microSDHC card slot that supports a maximum 32 GB Card.The Torch 9800 Smartphone bundled with a 4GB card. 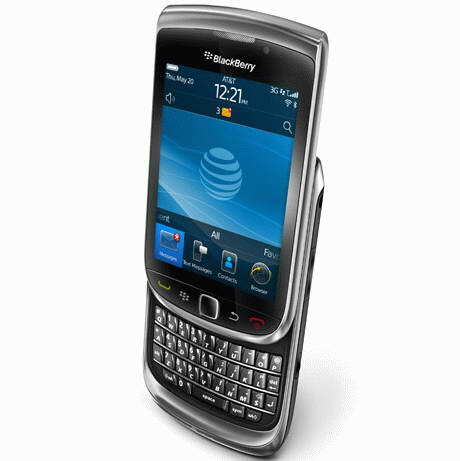 All new BlackBerry Torch 9800 touch screen handset houses a 5 megapixel autofocus camera with flash and other features includes sliding QWERTY keyboard, image stabilizer, geotagging functions and video recording (640 x 480 pixels video resolutions), Wi-Fi 802.11b/g/n, Bluetooth 2.1, 3.5mm headset jack, and GPS. 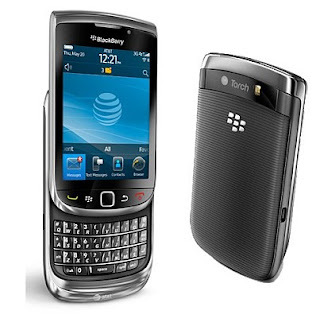 BlackBerry Torch 9800 handset also comes included with a 1300 mAh battery which is capable of providing about 5.8 hours of talk time, up to 30 hours of music playback and almost 6 hours of life in video playback.The handset weighs 161.1 grams and its dimension are 111 x 62 x 14.6 mm. 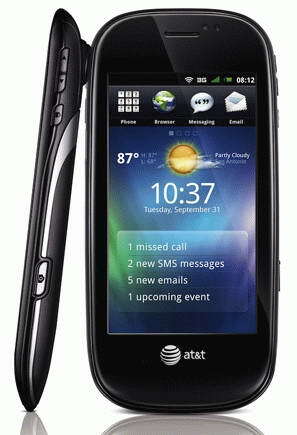 Tags:-9800, AT&T, BlackBerry, BlackBerry Torch 9800 Fulltouch Smartphone features, BlackBerry Torch 9800 Fulltouch Smartphone specs, BlackBerry Torch 9800 Fulltouch Smartphone specifications, BlackBerry Torch 9800 Fulltouch Smartphone release, BlackBerry Torch 9800 Fulltouch Smartphone launch, BlackBerry Torch 9800 Fulltouch Smartphone review, BlackBerry Torch 9800 Fulltouch Smartphone images, BlackBerry Torch 9800 Fulltouch Smartphone price tag, BlackBerry Torch 9800 Fulltouch Smartphone launch date, BlackBerry Torch 9800 Fulltouch Smartphone price details, BlackBerry Torch 9800 Fulltouch Smartphone detailed price, BlackBerry Torch 9800 Fulltouch Smartphone memory, BlackBerry Torch 9800 Fulltouch Smartphone camera,BlackBerry 6 OS, BlackBerry 9800, BlackBerry OS 6, BlackBerry Torch, BlackBerry Torch 9800, BlackBerry v6, Phone, RIM, Smartphone, Torch 9800. Dell recently made the availability of its updated Studio XPS 9100 desktop in markets.The new Studio XPS 9100 desktop PC now comes available with powerful hexacore processor chip.The new XPS 9100 model comes pre-installed with Windows 7 Home Premium, Professional or Ultimate 64-bit. The new Studio XPS 9100 PC now comes powered with a Core i7-920, i7-960 or i7-980X processor and a discrete graphics card (up to a Radeon HD 5970 2GB).The updated Studio XPS 9100 desktop can support up to 24GB of memory, up to 4TB hard drive.Other features includes DVD or Blu-ray drive, Gigabit Ethernet, a 19-in-1 card reader, HDMI, USB 2.0, eSATA and optional WiFi adapter. 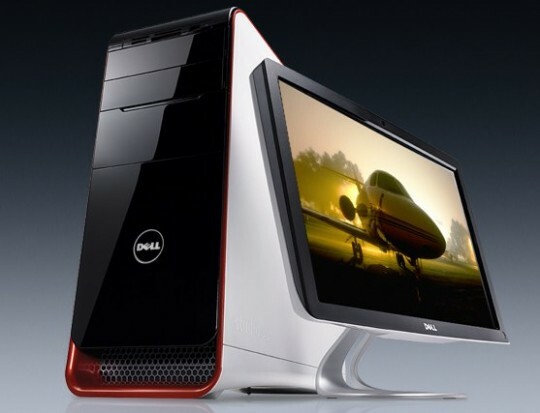 The new Dell Studio XPS 9100 PC now available for a price tag that starts at $949.99. Tags:-9100, Dell, dell studio, Dell Studio XPS 9100 PC features, Dell Studio XPS 9100 PC price, Dell Studio XPS 9100 PC upgrades, updated Dell Studio XPS 9100 PC, Dell Studio XPS 9100 PC specifications, Dell Studio XPS, Dell Studio XPS 9100, Desktop, hexa-core, Studio XPS 9100, XPS 9100. Australia manufacturer,Pioneer Computers recently made the availability of its all new Tablet named DreamBook ePad A10 Plus in market.The new DreamBook ePad A10 Plus tablet is based on Intel's Atom processor.The new ePad A10 Plus is now available for a price tag of $599 (without OS). The all new DreamBook ePad A10 Plus Tablet comes equipped with a 10.1-inch LED-backlit touchscreen display with multitouch supported and resolution of 1024 x 600 pixels and is powered with a 1.66GHz Intel Atom N450 processor with Intel GMA 3150 integrated graphics.The tablet supports up to 2GB DDR2 RAM and brings either 160GB-500GB HDD or optional 8GB/16GB/32GB SSD. 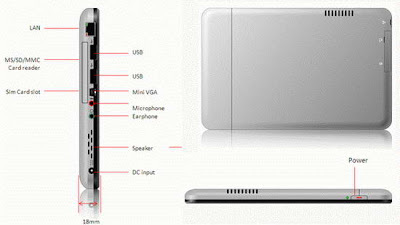 New DreamBook ePad A10 Plus Tablet features Wi-Fi 802.11n, miniVGA, HDMI, two USB 2.0 ports, 3-in-1 card reader (SD/MMC/MS), 2Wx2 speakers, Ethernet port, and built-in microphone where as Bluetooth, 3G, and WiMAX comes as optional availabilities.The battery of the new ePad provides about 5 hours of back-up life. 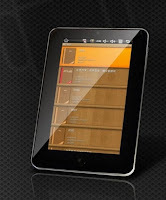 Tags:-Atom N450, boasts, DreamBook ePad A10 Plus, ePad A10 Plus Tablet features, ePad A10 Plus Tablet price tag, ePad A10 Plus Tablet availability, ePad A10 Plus Tablet specifications, ePad A10 Plus Tablet review, ePad A10 Plus Tablet price details, Internet tablet, Pioneer Computers, Pioneer Computers Australia, Pioneer Computers DreamBook ePad A10 Plus, tablet. Handset maker Spice mobiles recently introduced their new Spice M-6 Sports handset in Indian markets.The Spice M-6 Sports mainly intend for sports enthusiasts.The all new Spice M-6 Sports mobile phone is now available in India for a price tag of 4499 Rs. 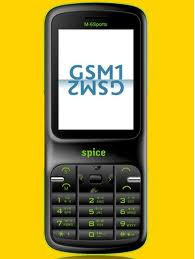 Spice M-6 Sports brings Dual-SIM capability (GSM+GSM) that enable it to support two network operators simultaneously.The new handset is available in two colors namely orange and green.The Spice M-6 Sports also comes integrated with social networks including apps such as Facebook, Nimbuzz and Twitter. The new Spice M-6 Sports Dual-SIM mobile handset equips a 2.2 inch 262 K QVGA TFT screen and features 1.3 MP camera with video playback as well as digital zoom, 4 GB expandable memory, video player, FM radio, Sterio Bluetooth, WAP, GPRS, Opera Mini browser and Vuclip app for sharing videos. Spice M-6 Sports handset packs a 1000 mAh battery offers a talk time of up to 5 hours and a standby time of up to 250 hours. Tags:-Spice M-6 Sports Dual-SIM mobile handset, Spice M-6 Sports Dual-SIM mobile handset features, Spice M-6 Sports Dual-SIM mobile handset specifications, Spice M-6 Sports Dual-SIM mobile handset india launch, Spice M-6 Sports Dual-SIM mobile handset india price, Spice M-6 Sports Dual-SIM mobile handset details, Spice M-6 Sports Dual-SIM mobile handset price details, Spice M-6 Sports Dual-SIM mobile handset specifications, Spice, M-6 Sports, Dual-SIM mobile handset. Smartbook AG recently made the availability of its all new Android tablet, named Smartbook Surfer in German markets.The new Smartbook Surfer Android Tablet is now available in German markets for a price tog of €179 (about US$234). 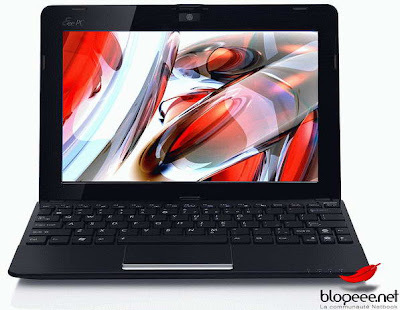 The Smartbook Surfer tablet comes equipped with a 7-inch display with resolution of 800 x 480 pixel and is powered with Telechips TTC8902 720MHz processor.The tablet includes a 256MB of DDR2 RAM module and a 2GB of flash storage memory.New Smartbook Surfer tablet runs on Google Android 2.1 OS. Smartbook Surfer tablet Features includes webcam, 802.11b/g Wi-Fi, GPS module, miniSD card slot for memory expansion, two USB ports and HDMI port for 1080p video output.The tablet includes a 1400mAh Lithium Polymer battery.The dimension of Smartbook Surfer tablet are 186 x 115 x 14.6 mm and weight about 350g. Tags:-Android, Android Tablet, Germany, Smartbook Surfer Android tablet features, Smartbook Surfer Android tablet specifications, Smartbook Surfer Android tablet availability, Smartbook Surfer Android tablet release, Smartbook Surfer Android tablet price, Smartbook Surfer Android tablet details, Smartbook Surfer Android tablet price tag, Smartbook Surfer Android tablet review, Internet tablet, Smartbook, SmartBook AG, Smartbook Surfer, Surfer, tablet. Lenovo recently started the sale of its all new all-in-one desktop PC, named Lenovo IdeaCentre A700.The new Lenovo IdeaCentre A700 is a stylishly designed desktop pc with a huge space saving size.The Destop comes in three configuration models and is already available on the company's official website. The new Lenovo IdeaCentre A700 All-In-One Desktop Pc is now available via Amazon.com for a price tag of $1,299.99.Click the link below to view and pre-order IdeaCentre A700. 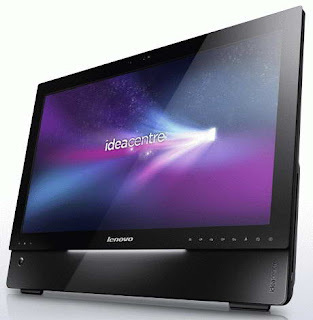 All configuration models of Lenovo IdeaCentre A700 PC comes equipped with a 23-inch display with resolution of 1920 x 1080 pixel and Features with integrated 0.3MP camera, a 6-in-1 media card reader, processor with Intel Turbo Boost Technology, WiFi, and an HDMI port.The All-In-One Desktop Pc comes pre-installed with Windows 7 Home Premium 64-bit OS. 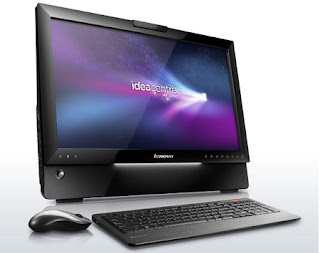 The lowest model is Lenovo IdeaCentre A700 with model name 40243BU comes powered with a 2.26 GHz Intel Core i3-350M processor and includes an integrated graphics from Intel.The Desktop PC also houses 4GB DDR3 SDRAM and a 500GB hard drive for storage.Along with the other common features detailed above the new IdeaCentre A700 – 40243BU PC with a DVD burner is priced at $999. Lenovo IdeaCentre A700 (40242BU) AIO desktop is the next model in the series comes powered with a 2.26GHz Intel Core i5-430M CPU and includes a Mobility Radeon HD 5470 discrete graphics.The pc includes a 640GB HDD and is available for a price tag of $1,149. The top model ie Lenovo IdeaCentre A700 (40241CU) desktop houses a more powerful 1.60GHz Intel Core i7-720QM quad-core processor and includes a Mobility Radeon HD 5750 Graphics card.The Desktop pc houses 8GB DDR3 RAM and for storage its has a 1TB HDD.The Lenovo IdeaCentre A700 – 40241CU PC also comes with a DVD/Blu-ray combo drive and is price at $1,599. Tags:-a700, all-in-one, all-in-one desktop, Desktop, ideacentre a700, lenovo, lenovo a700, Lenovo IdeaCentre, lenovo ideacentre a700, Lenovo IdeaCentre A700 - 40241CU, Lenovo IdeaCentre A700 - 40242BU, Lenovo IdeaCentre A700 - 40243BU, Lenovo IdeaCentre A700 All-In-One Desktop PC price, Lenovo IdeaCentre A700 All-In-One Desktop PC features, Lenovo IdeaCentre A700 All-In-One Desktop PC specifications, Lenovo IdeaCentre A700 All-In-One Desktop PC details, Lenovo IdeaCentre A700 All-In-One Desktop PC availability, Lenovo IdeaCentre A700 All-In-One Desktop PC sale.